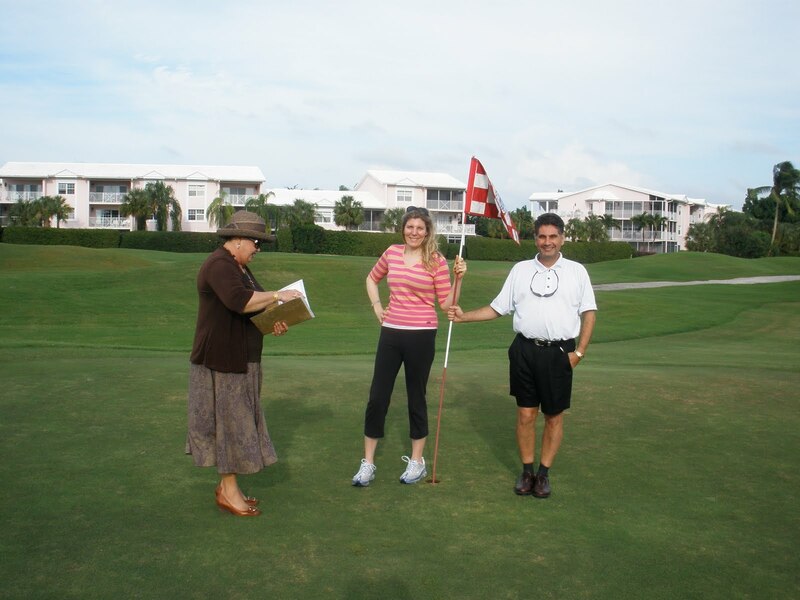 This visiting physician and his longtime attorney companion were on a golfing holiday over the Thanksgiving holiday, staying at the Grand Caymanian Beach Suites, and decided the 18th hole of the Britannia golf-course was the place for their afternoon wedding today. Staff at the clubhouse served as impromptu witnesses to the wedding. Nothing could be simpler than a Cayman Islands Destination Wedding. Call Simply Weddings today to plan your own simple, but beautiful wedding in the Cayman Islands (345)9499933. Call Joy or Peggy for all your wedding requirements.